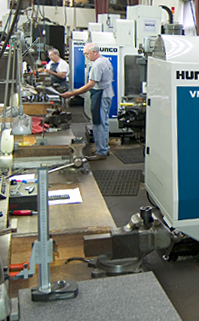 Mechanical Specialties Co. has over 25 years of experience with Wire and RAM Type EDM. Our clients’ unique and demanding precision specifications have made our team’s Wire and RAM Type EDM solutions some of the most respected in the Northeast. Our staff is trained to listen to the needs of our customers, and ask questions, all to provide the most value-oriented and fastest-turn around in the industry. Call or email us directly to have a customer service representative help create a solution for your EDM needs.